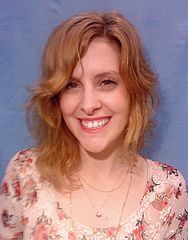 In 2010 I completed my Bachelors degree at Ben-Gurion University of the Negev (Israel) and commenced an MSc in Neuroscience at the University of Oxford. During my studies I became increasingly fascinated with the field of vision and particularly with the potential of cell replacement therapies for neural regeneration. The capacity of stem cells to differentiate into the various cell types of the body has caused a great deal of interest both in developmental research and regenerative medicine. The retina has emerged as an increasingly promising frontier for the investigation of stem cell transplantation, owing to its unique features as a surgically accessible, immune privileged organ. Moreover, unlike long tracts of the brain, transplanted photoreceptors need only make short synaptic connections to their immediate neighbouring cells in order to restore function. Retinal neurons degenerate progressively throughout life and show limited ability for repair after injury. However, compelling evidence suggests that the visual system as a whole does exhibit signs of neuroplasticity, even after severe retinal degeneration [1,2 ]; photoreceptor cell-replacement therapies may offer visual repair, by reinstating light sensitive cells to form connections with downstream visual pathways in the degenerate retina. In 2011 I joined Professor Robert MacLaren's research team at the Nuffield Laboratory of Ophthalmology (University of Oxford) to explore stem cell therapies for retinal degeneration. My research focuses on cell replacement therapy for retinitis pigmentosa (RP), one of the primary causes of inherited retinal blindness worldwide. In this disease an initial loss of rod photoreceptors leads to a cellular cascade that promotes the secondary degeneration of cone photoreceptors . Accordingly, stem cells and rod photoreceptor progenitors may prove to be prospective candidates for cell replacement therapies. When considering the use of stem cells for rescue of the degenerate photoreceptor layer, it may be important to keep in mind that the use of embryonic stem cells (ESC), derived from foreign fetal tissue, has a high risk of immune rejection and would require constant immune suppression post transplantation, which is itself associated with significant morbidity. A need therefore arises for a readily expandable, immunologically attuned source of cells. Induced pluripotent stem cells (iPSc) may offer a solution for these problems; patient specific iPSc could provide an autologous and potentially expandable source of cells for transplantation. However, being derived from an individual suffering from a genetic disease, iPSc will require genetic repair before being delivered to a patient. In a model scenario, somatic cells, obtained from a single patient afflicted with an inherited retinal degeneration, would be reprogrammed to pluripotency, expanded in-vitro and differentiated to reach a photoreceptor precursor cell (PPC) state. These iPSc-derived PPC could subsequently undergo ex-vivo gene therapy to correct the genetic mutation causing blindness and corrected autologous cells would then be transplanted back into the patient (figure 1). Figure 1: 1. Somatic cells, such as skin fibroblasts are obtained from a patient with a genetic retinal degeneration. 2. Cells are reprogrammed to an ES-like pluripotent state. 3. Cells are expanded in-vitro and differentiated to reach an appropriate developmental state. 4. Developing cells may provide an in-vitro model of disease development and treatment or may be subjected to gene therapy with the aim of correcting the genetic source of degeneration ex-vivo. 5. In order to prevent adverse consequences of therapy, cell-colonies are to be screened and purified of proliferative and potentially malignant cells. 6. Patient receives a subretinal injection to replace degenerate cells with reprogrammed, suitably differentiated, corrected and purified autologous cells. Our current research approaches this translational research goal by utilising early postnatal mouse PPC to develop techniques for in-vitro cell expansion and ex-vivo gene therapy to correct genetic mutations in-vitro before replacing the degenerate cell layer in murine models of RP. First, we set out to assess the optimal time for transplantation and the state of cultured cells in order to determine whether rod PPC could be expanded and sustained in a viable state for a period of time sufficient for ex-vivo gene therapy. An in-vitro system for prolonged culture of rod PPC was hence established to maintain PPC in culture for as long as a month (figure 2). 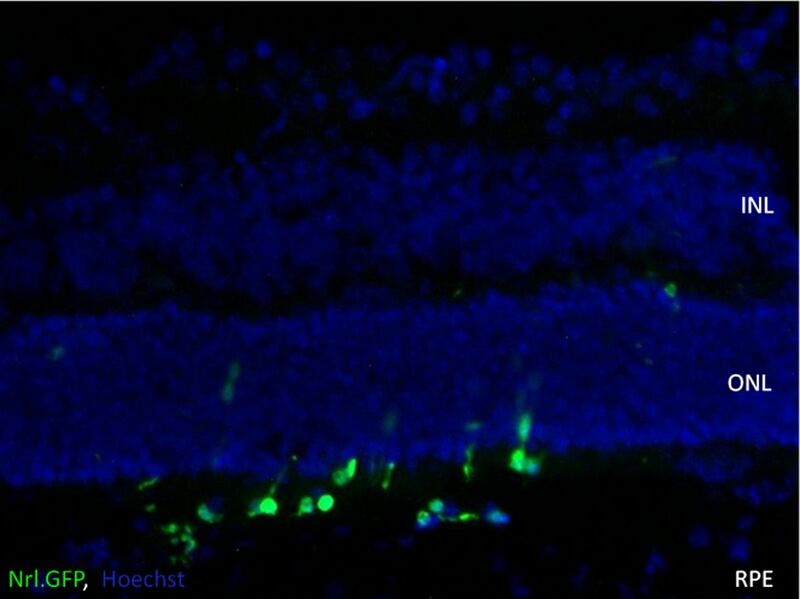 Figure 2: Retinae were dissociated from early postnatal transgenic mice, in which GFP is expressed specifically in rod photoreceptors via the neural retina leucine zipper (Nrl) promoter (Nrl.GFP). Dissociated cells were cultured in-vitro for up to 31 days. The graph demonstrates the percentage of retinal cells surviving in culture compared to the number of cells obtained on the first day. A twofold increase in cells expressing Nrl.GFP, and a 2.5 increase of total cells was observed by day 12-14. A decrease in cells was observed thereafter, although high viability was maintained. Florescent microscope images show constant morphology and GFP levels in cells throughout the culture period, suggesting that rod precursors survive the prolonged culture and may be reliably used while maintained ex-vivo. Scale bar: 20µm. Figure 3: Following MACS enrichment, cell fractions of the CD73 positive (CD73+) cell cohort were significantly enriched in GFP, and cell fractions of the CD73 negative (CD73-) cohort were significantly depleted of GFP-positive cells when compared to unsorted cells. **p< 0.01, *** p<0.001. Studies aimed at generating stem cell derived photoreceptor-precursors must employ a reliable method of cell purification before transplantation, to increase efficiency and reduce the risk of teratoma formation post transplantation. 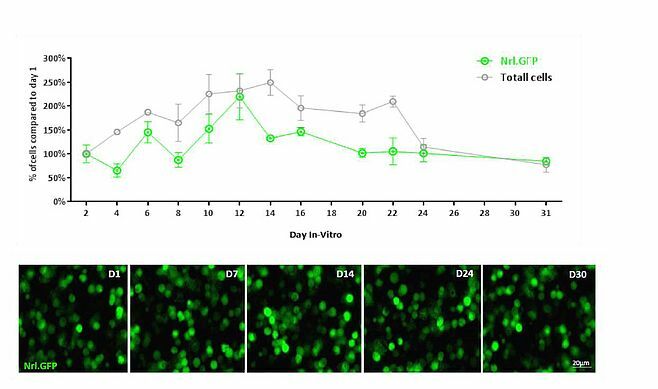 Therefore, after 14-30 days in culture magnetic beads were bound to rod photoreceptor via antibodies against the cell surface marker CD73  and magnetic assisted cell sorting (MACS) was performed to enrich the population of rod PPC in prolonged culture prior to transplantation. Sorted cultures were comprised of close to 86% rod precursors (NRL.GFP positive cells) - approximately double that of unsorted cultures (figure 3). Rod photoreceptors have not been observed to form outer segments in culture, raising the question of appropriate cell morphology for transplantation. Long-term cultured cells were hence transplanted into the eyes of early postnatal wild type mice, and found to survive transplantation within the host eye (figure 4). Figure 4: Nrl.GFP PPC were collected and magnetically sorted following two weeks in-vitro and were transplanted via intraocular injection to wild-type early postnatal mice. Retinal sections were obtained 14 days post transplantation and long-term cultured Nrl.GFP PPCs survived in the host subretinal space after transplantation. ONL=outer nuclear layer; INL=inner nuclear layer; RPE= retinal pigment epithelium. Data presented here demonstrate what is to our knowledge, the first evidence of long term survival of PPC in the subretinal space following a prolonged culture period, thus affording a flexible time period for cell modification before transplantation and providing building blocks for current investigation of ex-vivo gene correction of rod PPC. Zrenner E, Bartz-Schmidt KU, Benav H, et al. Subretinal electronic chips allow blind patients to read letters and combine them to words. Proc. R. Soc. 2010; B 278, 1489–1497. Singh MS, Charbel Issa P, Butler R, et al. Reversal of end-stage retinal degeneration and restoration of visual function by photoreceptor transplantation. PNAS 2013; 110 (3), 1101-6. Sahel JA, Mohand-Said S, Léveillard T, et al. Rod-cone interdependence: implications for therapy of photoreceptor cell diseases. Prog Brain Res 2001; 131:649–61. Eberle D, Schubert S, Postel K, et al. Increased integration of transplanted CD73-positive photoreceptor precursors into adult mouse retina. Invest Ophthalmol Vis Sci. 2011; 52(9):6462-71.